Long time Stooges fan and reader of the forum. Pleased to meet you. Anyone heard the Japanese Funhouse? this here info you (hopefully) see below from boo hooray dot com on page 21 of the Record Dreams catalogue. checking page 73... both records are $2000. 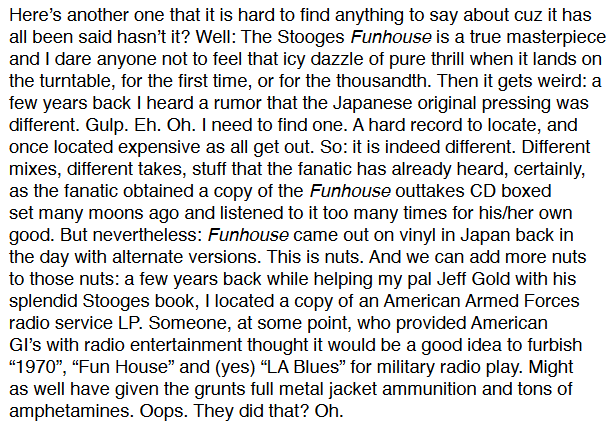 I contacted a record dealer who has a copy of the Japanese press - he said the songs were exactly the same as every other copy of Fun House. I have heard the Japanese Down On The Street/1970 '45 and those are also the same as the US single edits. Why would this guy make a vague suggestion? There are only 7 tracks, if some were different it would easy to specify which ones. It is really weird. I would dismiss the whole thing - you don't make a complete alternate master of an album by mistake! then send it to Japan?!! - except the fellow behind boohooray.com is an extremely scholarly person and trusted vendor. Back out and explore the site at http://boohooray.com So I am at a bit of a loss. I have already looked at the catalogs, the info there is dubious and I don't see how he is "scholarly" or "trusted." Impressive hustle - buying/selling archives to museums/universities, staging exhibits of ephemera,putting out expensive coffee table books. 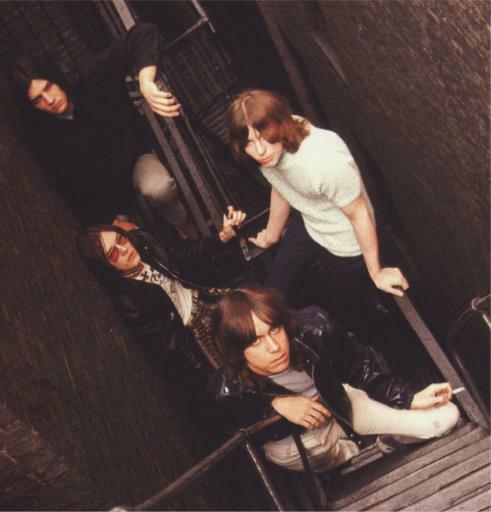 The book "Total Chaos" is just an interview with a lot of inaccurate info, it doesn't come close to telling the story of The Stooges. I don't see either of those guys as super fans or collectors - they acquired most of it from somebody else's collection in one huge lot. An earlier catalog had 2 posters for cancelled gigs but he gave a description as if they happened. The items were still unsold when I read the catalogs - have either of those records sold at that price? When the Rhino box set came out people started to talk about the organ overdub on Down On The Street being released on a '45 - it never was. It does seem bizarre. 'Funhouse' must have a considerable following in Japan. Wouldn't somebody have noticed before now? I think Total Chaos is a bit of a puff piece too. A magazine interview in hardcovers. I've been thinking - I don't think it's that farfetched. The Embassy version of Raw Power has a different mix of Search & Destroy, doesn't it? 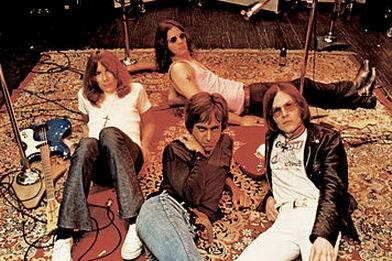 At the end of the day, the fabled Jap Funhouse would simply be an interesting curio, what with the sessions box set. And I understand if some Stooge-o-philes have had their fill of variant mixes and so forth. My curiosity is piqued. Kugelberg is in the archival business - therefore it is in his interest to be an accurate and trustworthy dude. I don't know how it worked at record companies back in the days when information was conveyed by paddle steamer. Would someone at Elektra prepare a copy of the album master? Or would they send the master itself to Japan? It's not unthinkable there could be screw-ups in the tape library? I'm sure there are examples of this. Beatle obsessives must have many such tales. Also, single releases in foreign territories sometimes featured 'boosted' mixes, but these wouldn't be confused with different takes unless the listener were not very observant.